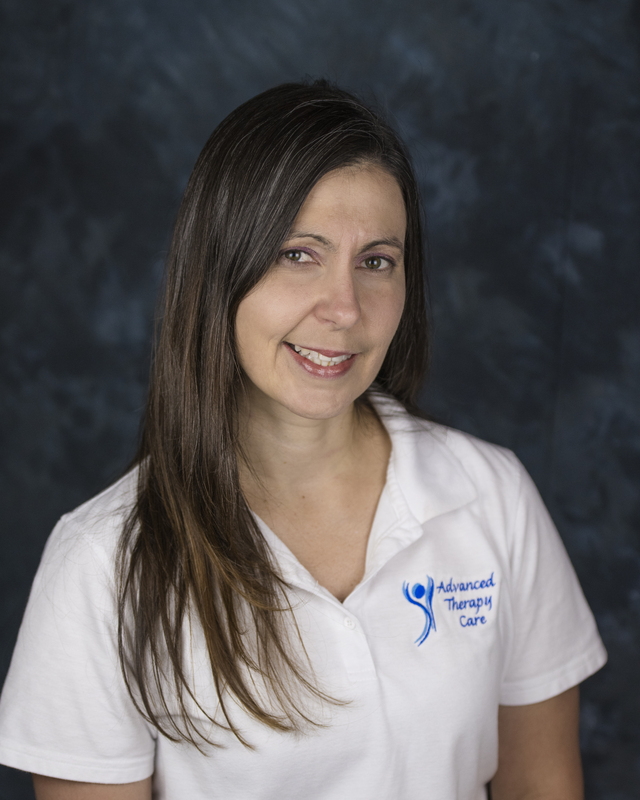 Rachelle is the owner of Advanced Therapy Care and has operated this practice since 2003. She earned her Master's Degree in Speech Pathology in 1997 and a Masters of Education in Human Exceptionality in 1998. 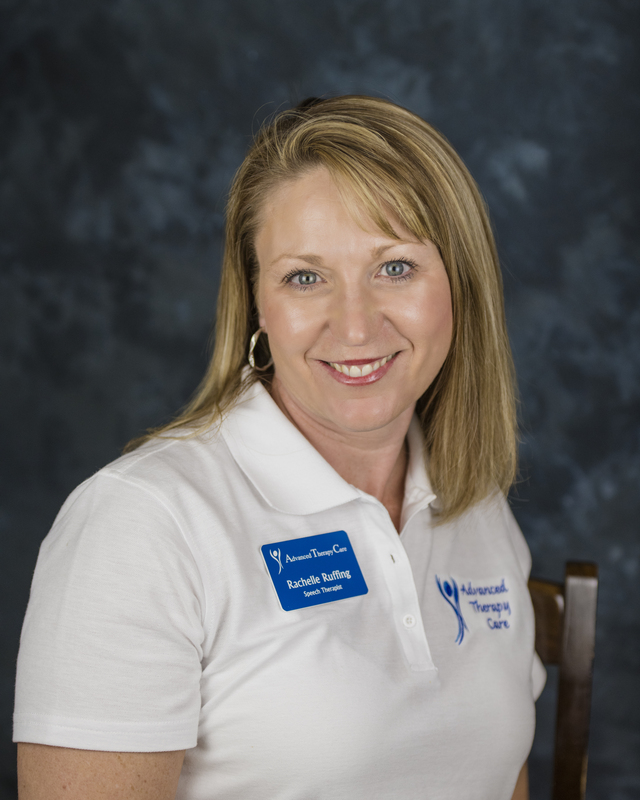 Rachelle has practiced in the field of speech pathology for 16 years. Her areas of expertise are Adult and Pediatric Dysphagia, as well as Infant and Toddler communication delays. Rachelle lives in Mountain Home with her husband and four children. She enjoys scrapbooking, camping and spending time with friends and family. Heather received her Master of Science degree in Speech-Language Pathology from Idaho State University in 2015. She also has a Bachelor of Science degree in Psychology from the University of Idaho. She enjoys treating clients of all ages, but especially enjoys working with the preschool and school age populations. She is pursuing specialized training in pediatric feeding. A lifelong Idahoan, Heather has been able to participate in many of the amazing activities Idaho has to offer including skiing, camping, and whitewater rafting. She spends her free time with her husband and two children doing projects around the house and exploring the Treasure Valley. Brei was born and raised in Mountain Home. 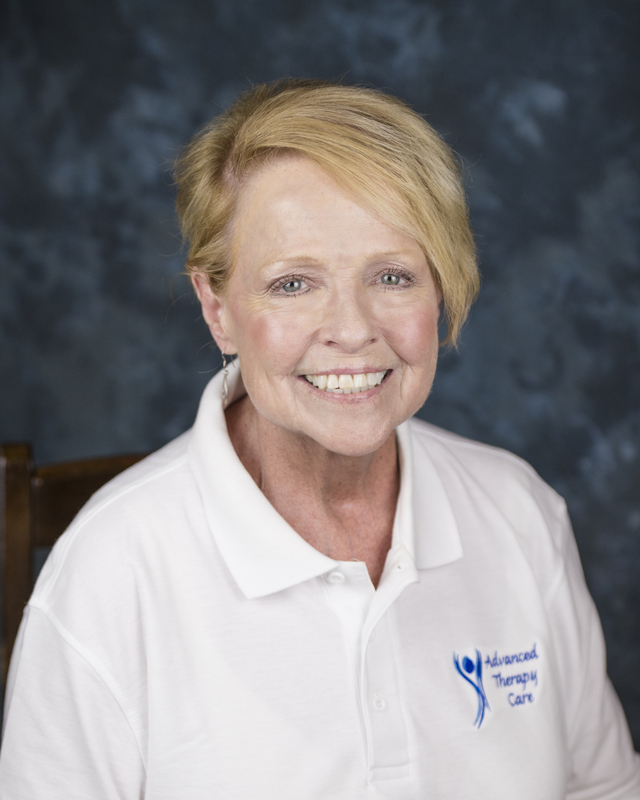 She has been working at Advanced Therapy Care since 2009. She currently lives in Mountain Home with her husband and two boys. On her spare time she enjoys reading, running, doing puzzles, and spending time with her family. Karissa Rutten is a Speech-Language Pathologist CF at both our Meridian & Mountain Home offices. She has worked for Advanced Therapy Care for one year. 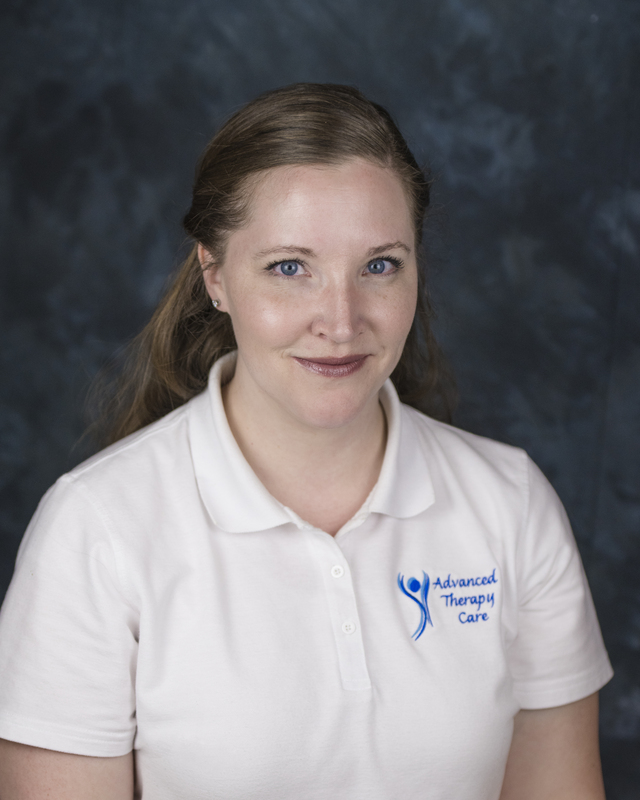 She primarily works with pediatric clients through the Infant Toddler Program, preschool and school age children in the clinics, and adolescent boys with language and pragmatic delays at a local facility. She was born and raised in Orange County, CA and moved to Pocatello, ID where she was recruited to play volleyball for Idaho State University. While a student-athlete at ISU, she completed her B.S. in Communication Sciences and Disorders in 2012 and her M.S. in Speech-Language Pathology in 2014. She met her husband while attending ISU and they were recently married in May 2015 Karissa’s younger sister has autism, which is a big motivating factor for her to pursue a career where she can help others with communication disorders/delays. 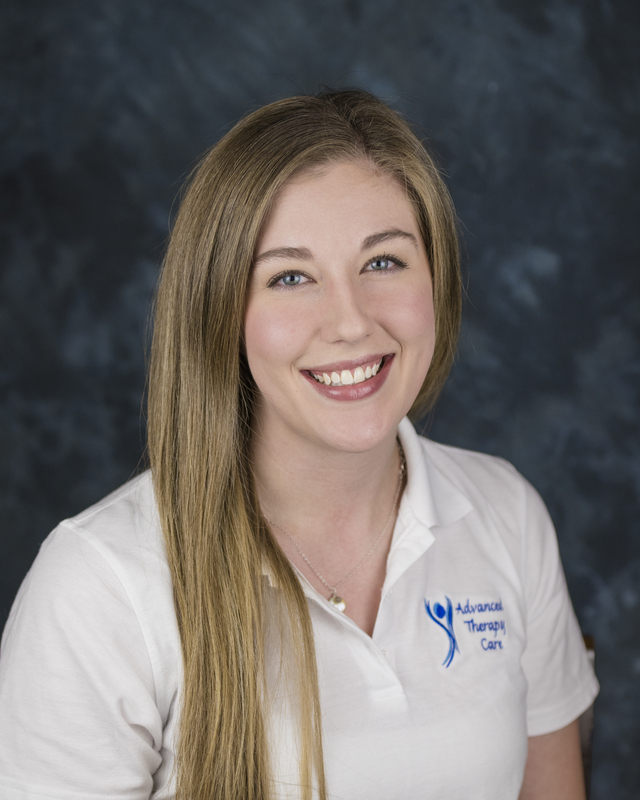 She enjoys working with the pediatric population and is excited to continue to learn and expand her clinical experiences! Becky received her Master's Degree in Speech-Language Pathology from Idaho State University in 2005. She treats patients of all ages with a variety of needs but particularly enjoys working with the pediatric population. 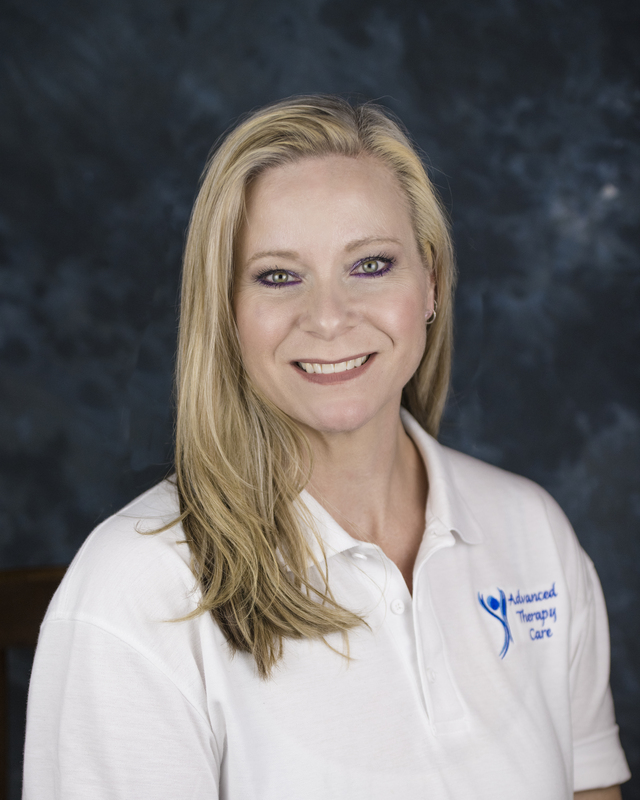 She also enjoys treating adults in the Home Health setting and is a Certified e-Stim Therapist for treating swallowing disorders. Becky's undergraduate training was in Child Psychology and she utilized that degree as a Child Life Counselor with terminally ill children. She enjoys camping in the summer and spending time with family and friends. Taunya received her Bachelor's Degree in Speech-Language Pathology from Northwest Nazarene University and her Master's Degree in Speech-Language Pathology from Idaho State University in 2008. 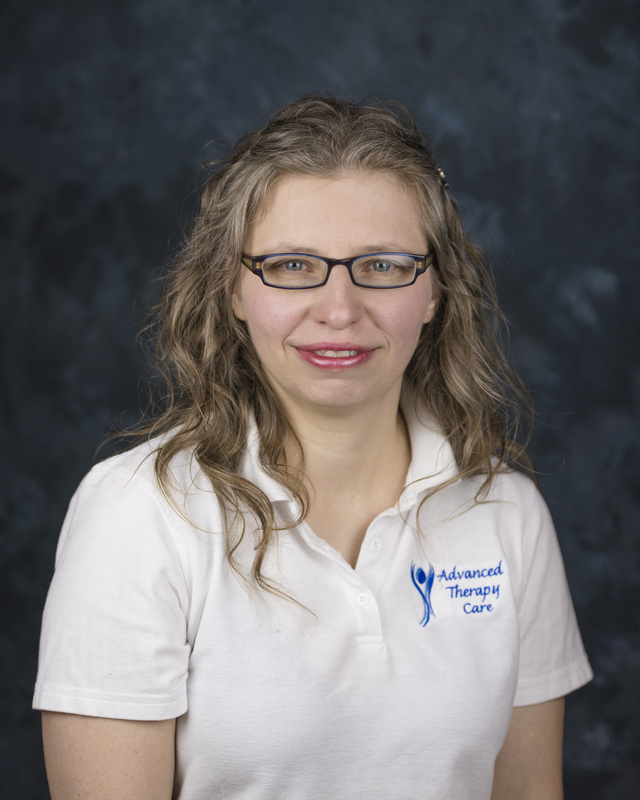 She has enjoyed working for Advanced Therapy Care for the past 3 years. She treats patients of all ages with a variety of needs, but particularly enjoys working with the preschool and elementary age students. When she is not working, she enjoys time with her family, playing volleyball, working on home improvement projects, and shopping. 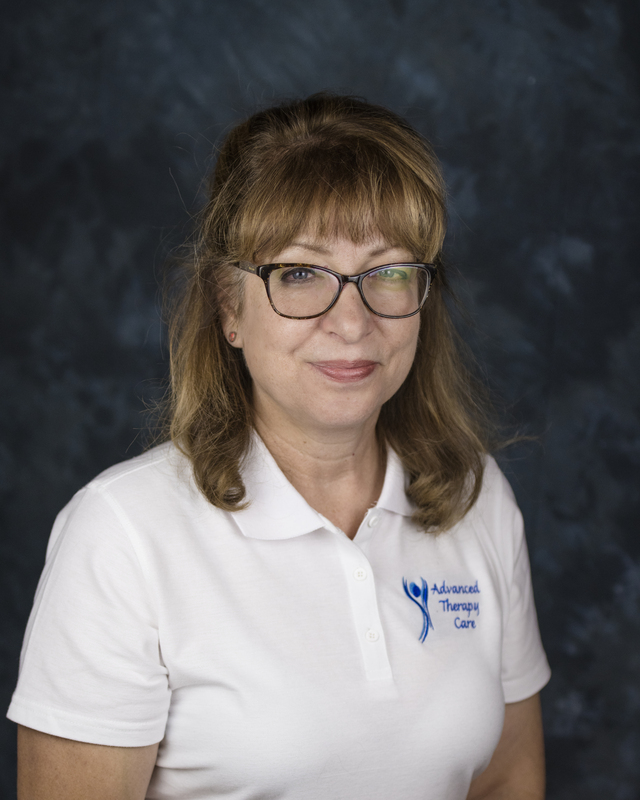 Gale has over 25 years of experience working with adults and pediatrics in the acute/rehabilitation hospital, outpatient and home health settings. Gale had developed, consulted, and managed several interdisciplinary dysphagia programs throughout the United States. She is trained in e-Stim treatment for adults and has served on the Board of Directors for the Neurodevelopmental Treatment Association. Gale has presented nationally on topics of dysphagia and Neurodevelopmental Therapy. Prior to moving to Idaho, Gale was an Adjunct Professor at Miami University, Ohio teaching graduate courses in dysphagia. She is presently a member of the Advisory Board for SpeechPathology.com. In her spare time, she enjoys spending time with family. 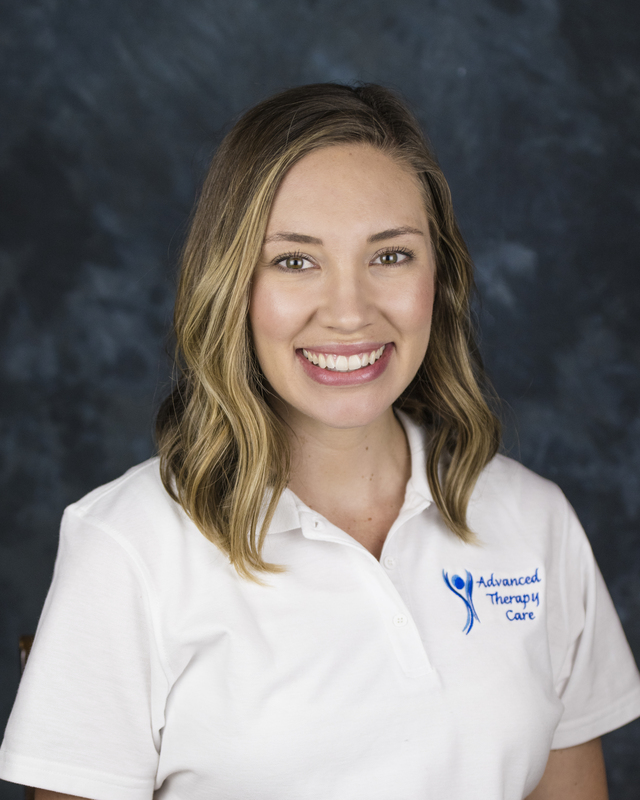 Courtney received her Master's of Science Degree in Speech-Language Pathology from Idaho State University in 2014 and has recently completed her clinical fellowship year with Advanced Therapy Care. 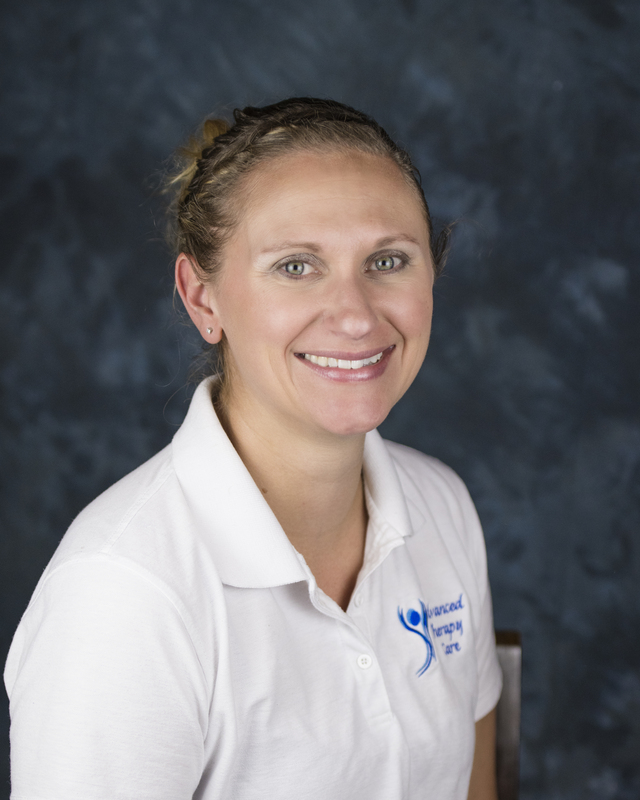 She enjoys treating children of all ages with a variety of needs in both the Meridian and Mountain Home clinics. 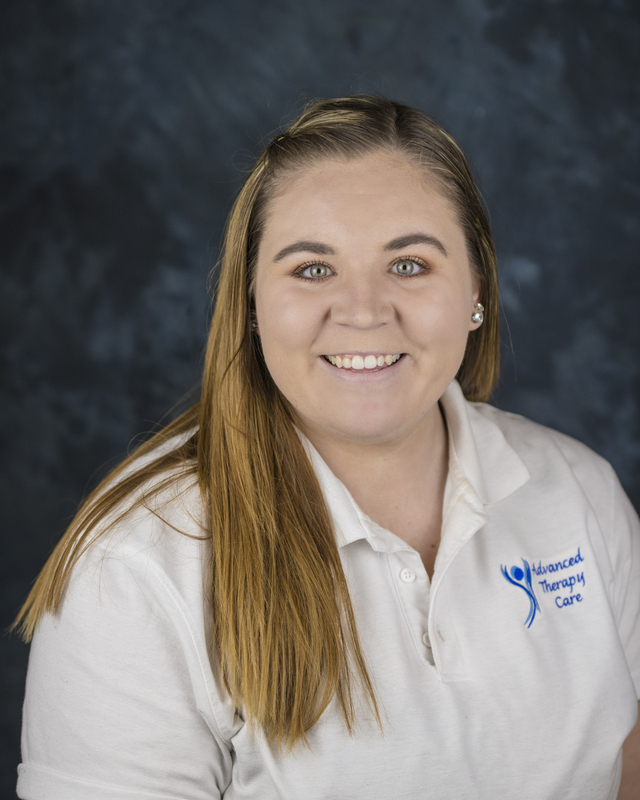 Courtney primarily works with children in the clinic, at the Idaho Educational School for the Deaf and Blind Preschool, and adolescents through the Mountain Home Academy for Sequel Youth. She finds fulfillment in the challenges and many joys that come through treating patients with speech and language disorders. In her spare time, Courtney enjoys summer weather and activities, traveling, reading a good book, and spending time with loved ones. Ashley received her Master's Degree in Speech-Language Pathology in 2014 from Idaho State University. She is currently completing her clinical fellowship with Advanced Therapy Care. Prior to entering the field, she spent three years overseas as an English language teacher working with students from preschool through adult. She continues to enjoy working with individuals of all ages. 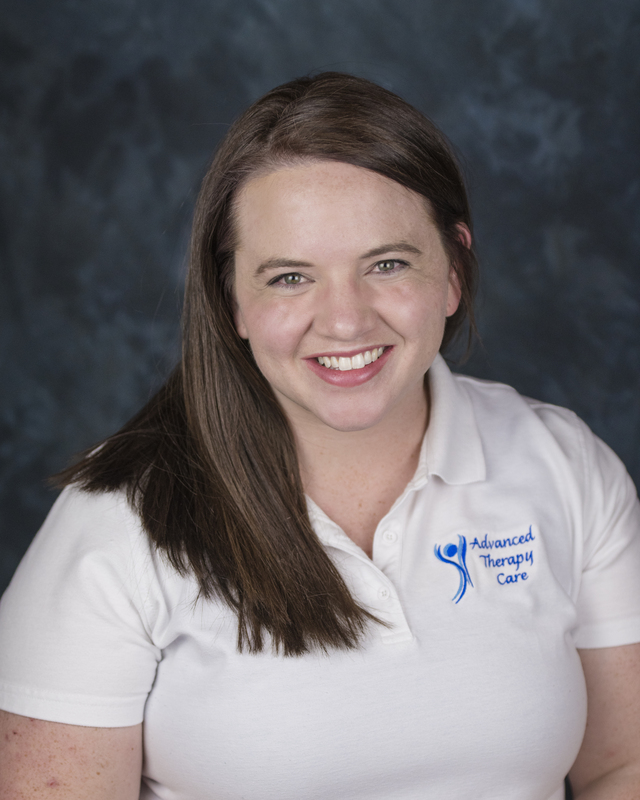 She has clinical experience in settings ranging from preschool to intensive care and is currently working in our Meridian and Mountain Home clinics as well as with the Idaho Infant Toddler Program. 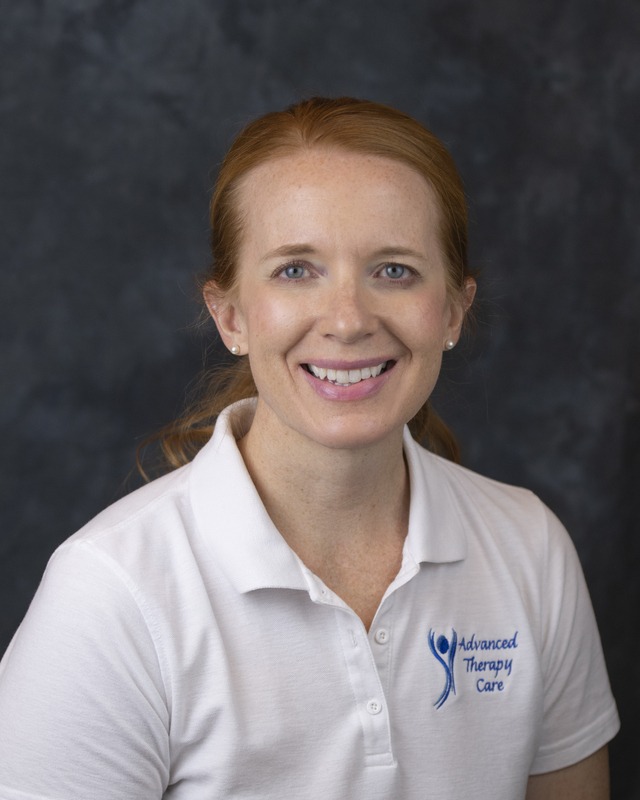 Ashley has a passion for utilizing interventions to facilitate functional changes in the lives of those she works with. Dani was born and raised in Mountain Home, Idaho. After graduation she attended The College of Southern Idaho and received her certification for Emergency Medical Technician. 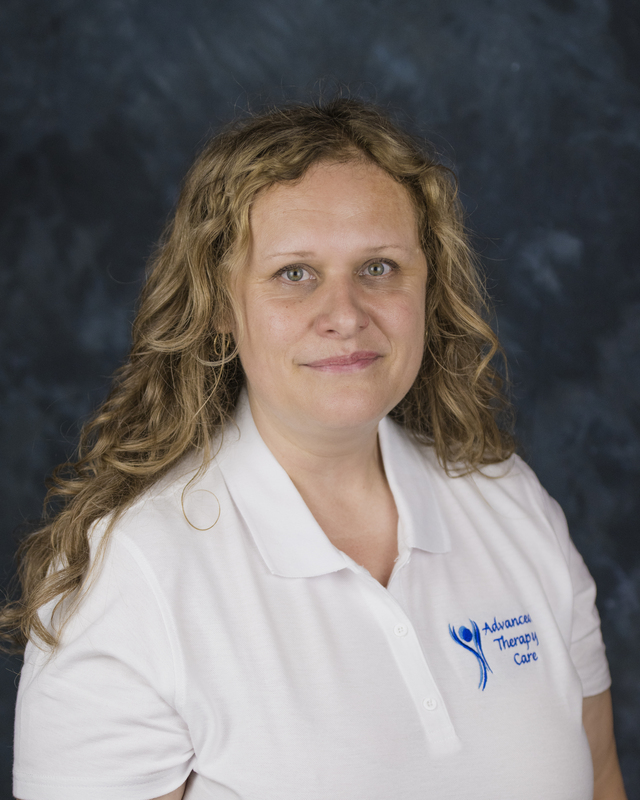 She has been working for Advanced Therapy Care since 2017. In her spare time she enjoys photography, playing softball, hiding horses and hanging out with her family. She currently resides in a rural town an hour outside of Mountain Home where she lives with her husband, their 4 dogs, and their many other animals on their 100+ year old family ranch. 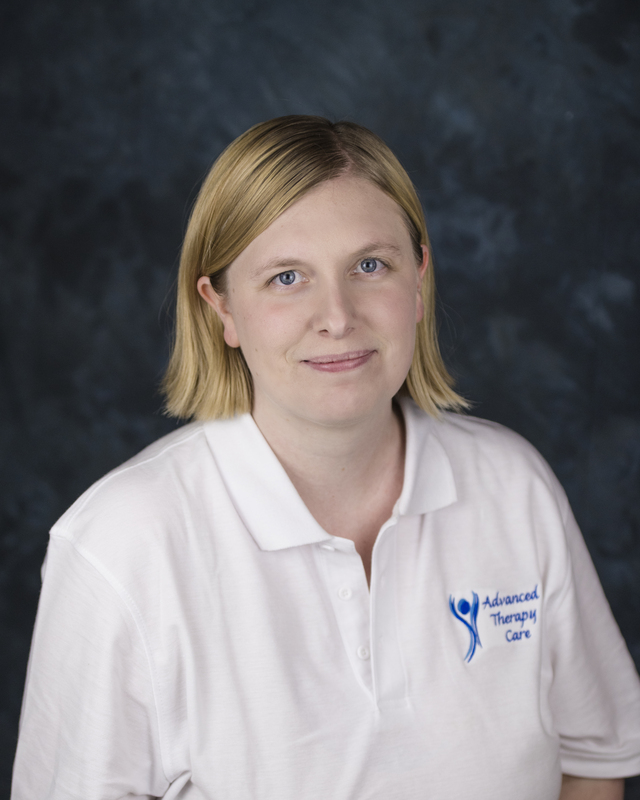 Sami is a COTA who has been working with Advanced Therapy Care since 2017. She earned her Bachelor's Degree in School and Community Health Education in 2006. After working for a few years and finding a passion for helping others, especially children, she decided to go back to school. She graduated in 2015 from an Occupational Therapy Assistant program. She has been working as a Pediatric Occupational Therapist since graduating. She enjoys spending time with friends and family, outdoor activities, and volleyball. Sami lives in Boise with her husband and beautiful 10 month old daughter. Terri is a Speech Language Pathologist and moved to Glenns Ferry a year ago. She is originally from California and has lived in Texas, Colorado and Germany. Terri graduated from Abilene Christian University in 1983 with a BSEd and in 2014 with a Masters Degree in Communication Disorders. She has 10 years of experience working as a speech therapist in the public schools and 2 years in home health care. Terri's areas of expertise include sensory integrative approaches to autism and phonological awareness balanced with the whole language approach. Terri and her husband love to travel. They have 4 grown children and 2 grandchildren. 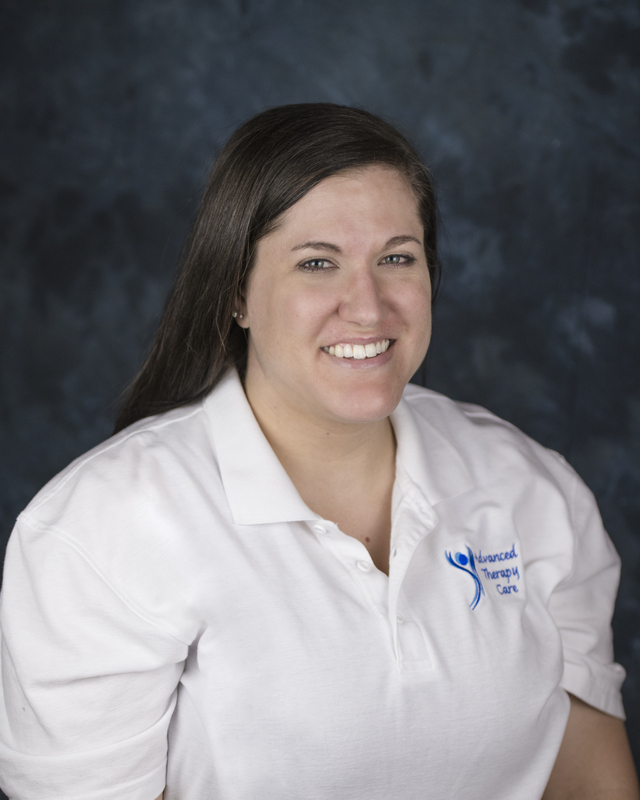 Katie is a Certified Occupational Therapy Assistant who earned her Associates degree from Brown Mackie College. She has worked as a COTA at ATC since 2017. 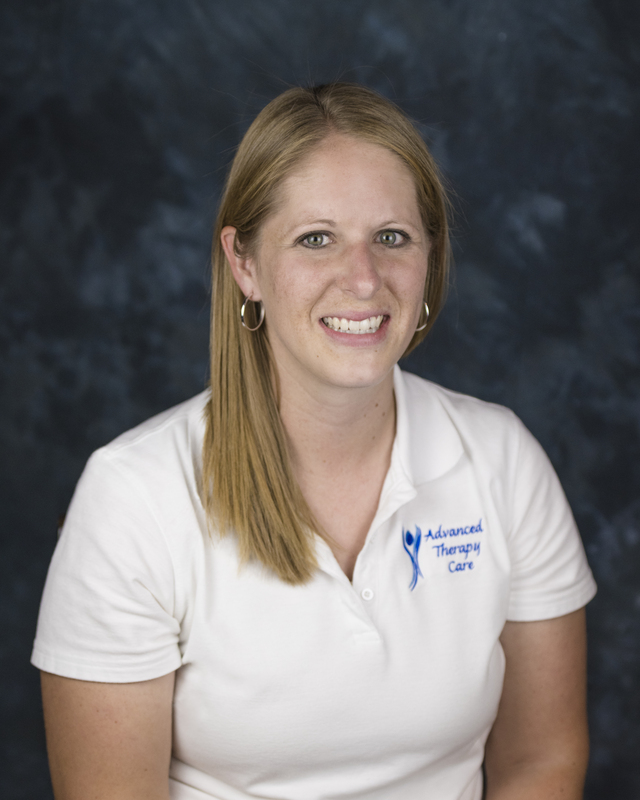 Katie enjoys working with people and has experience working with adults and pediatrics. Katie lives in the Boise area with her husband and son. She enjoys being outside, trying new things, and spending time with her family. 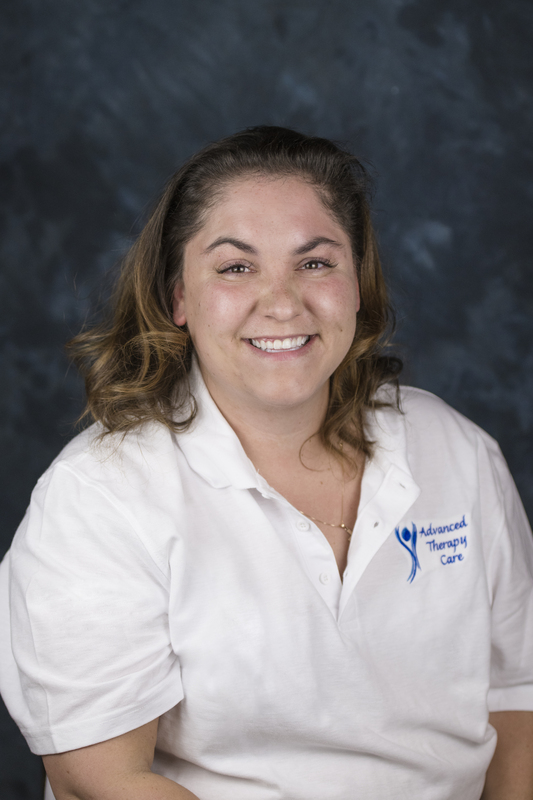 Teresa earned her Master's Degree in Speech Language Pathology in the summer of 2018 and is currently working on completing her clinical fellowship year. She has been at Advanced Therapy Care since July of 2018. Teresa has lived in Boise since 1986 and enjoys spending time with family, gardening, and hiking in the Boise foothills. Cathy was born and raised in Southern California. She moved to Boise, Idaho in 1991 and loves living in a state that celebrates all four seasons! 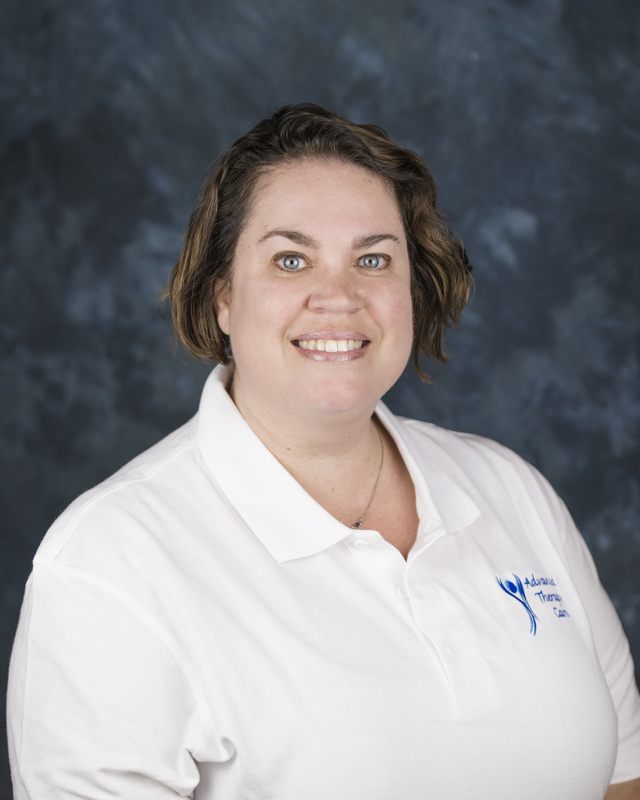 Cathy’s academic background includes an Associate degree in Psychology from BYU-Idaho, a Bachelor’s degree in Counseling from California State University, Fullerton and a Master’s degree in Speech – Language Pathology from Idaho State University. She is passionate about helping people of all ages develop and/or improve their communication skills. In her spare time, Cathy is an avid writer and has published a young adult novel – Blue Rain. She also enjoys spending time with her family, friends and Golden Retriever. 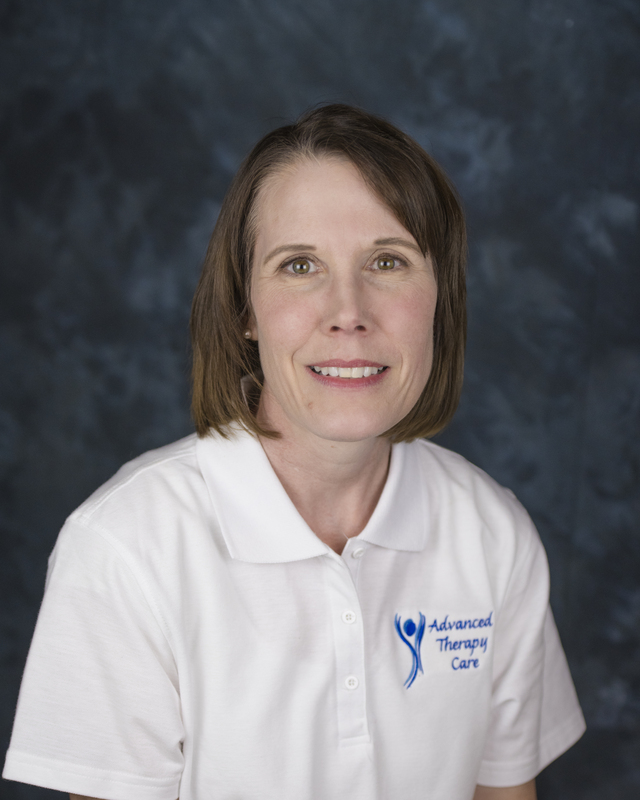 Michelle is a registered occupational therapist who relocated to Mountain Home from Cheyenne, Wyoming to work at Advanced Therapy Care. Michelle graduated with a Masters of Occupational Therapy in 2015 from Colorado State University. Michelle also has a Bachelors of Science in Health Education & Promotion and Secondary Education. She is also currently pursuing a certification in Ayers Sensory Integration through USC. Michelle works in Mountain Home with her husband and two dogs. 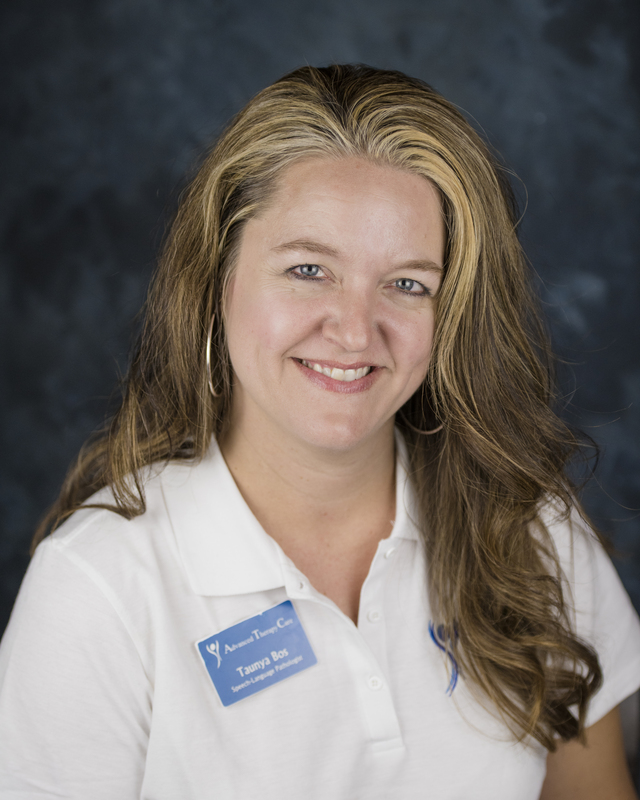 Annie received her Master's of Science in Speech Pathology & Audiology from the University of Nevada Reno in 2011. 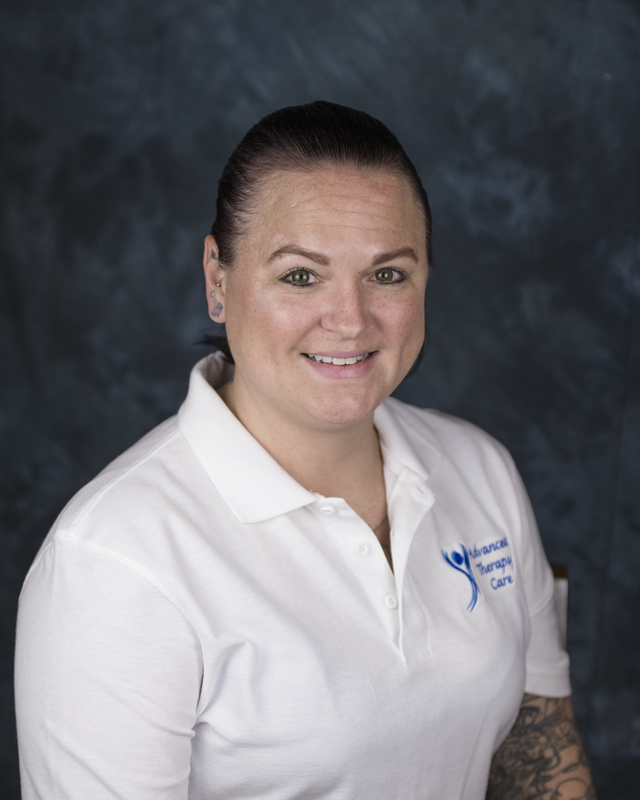 Since then, she has worked in several settings (children's hospitals, outpatient clinics, developmental day cares, home health, schools) in a variety of diferent locations (North Carolina, Texas, Alaska and now Idaho). Annie loves all things related to speech, language and communication of all ages, especially fluency and language disorders. Heather has been a resident of Idaho since December of 1994. She graduated with honors from the occupational therapy assistant program with an Associates in Applied Science. Her experience includes almost 2 years working as a COTA at ATC plus 5 years experience working as a developmental therapist, as well as, in the ERR class with children/adolescents who have special needs. Heather also has a son with autism/anxiety/ADHD who has received OT for several years in an outpatient clinic setting and through the school district. She feels those experiences have given her the opportunity to see from both sides of therapeutic issues which has helped her to become a better clinician. Colette received her Bachelor of Science degree with high honors in Communication Sciences and Disorders from Idaho State University in 2010 and her Master of Science degree in Speech-Language Pathology from Idaho State University in 2012. She has experience working with a wide variety of pediatric populations including children with receptive/expressive language delays, autism spectrum disorders, apraxia, hearing loss, and articulation/phonological disorders. Her areas of expertise include autism spectrum disorders with training in Alternative and Augmentative Communication (AAC). Colette enjoys art, dancing, and spending time with her husband and four children. She has a son who is on the autism spectrum and this inspires her passion to adapt to and advocate for all learning styles by providing individualistic therapy that is based off the child’s preferences and strengths. Stacy received her Master of Science degree in Speech-Language Pathology from Idaho State University in 2017. She enjoys treating clients of all ages, but especially enjoys working with the preschool and school age populations. Before moving to Idaho to pursue a career in Speech- Language Pathology, Stacy previously lived in New York City, Arizona, and Alaska. She enjoys spending her free time with her family and pets. T is a Veteran of the United States Air Force. After leaving the Air Force, T obtained multiple degrees but is most passionate about working with children and the disabled. She adores her only daughter and her fur babies. In her off time, she loves to cook, read, paint, and is currently renovating her home. Gretchen has been a practicing COTA since 2016 working primarily in Pediatrics and within the school setting, a field that she's absolutely adores. She earned her Associate's Degree from Pima Medical Institute in 2016. She lives in Boise with her son and loves spending time with family and friends. She also enjoys crafting, gardening, and caring for others. Elliot has an array of experience, including working in schools, working with kids in a variety of settings, working with adults, and is always striving to learn more. He enjoys spending time with his family and is proud to be a part of the ATC team.